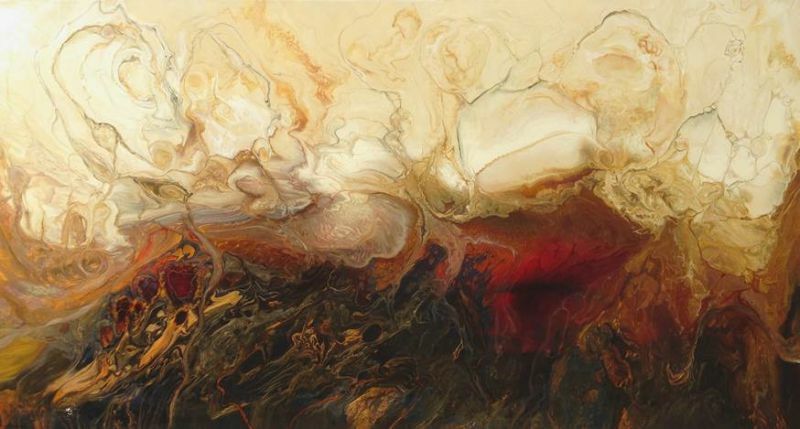 Born 1957 in Western Australia, Miertje Skidmore has been painting for 30 years. Her first paintings were sold in 1979 in Holland. 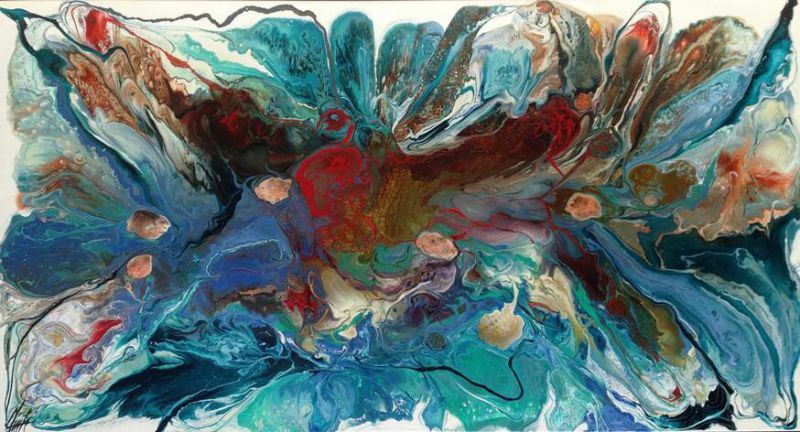 Miertje Skidmore's work is widely represented in respected galleries throughout Australia and is rapidly being sought by collectors within Australia and overseas countries in both corporate and private collections. She won an award in 1989 with her touring regional exhibition and her paintings have been purchased by many private and corporate collectors. 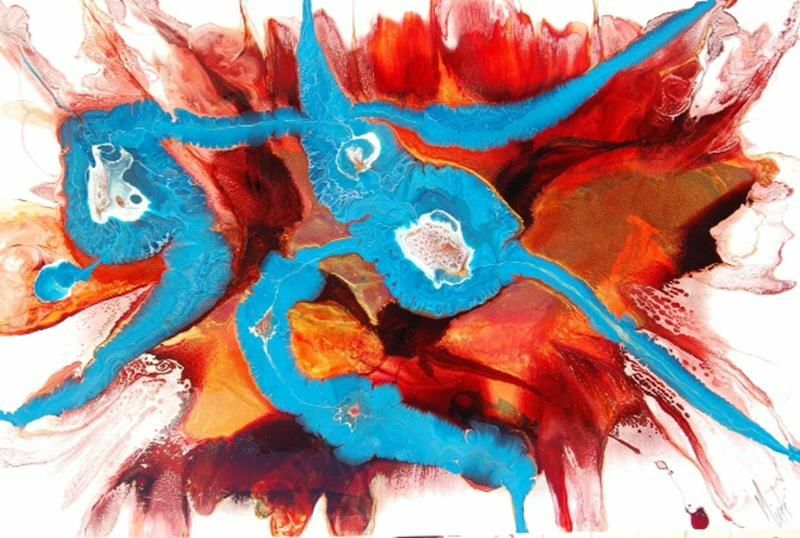 Miertje believes that art is often seen and felt as an enlightening and emotive personal experience. The visual language of spontaneous shards of dynamic colours against delicate, subtle hues, is how she expresses her artistic voice. 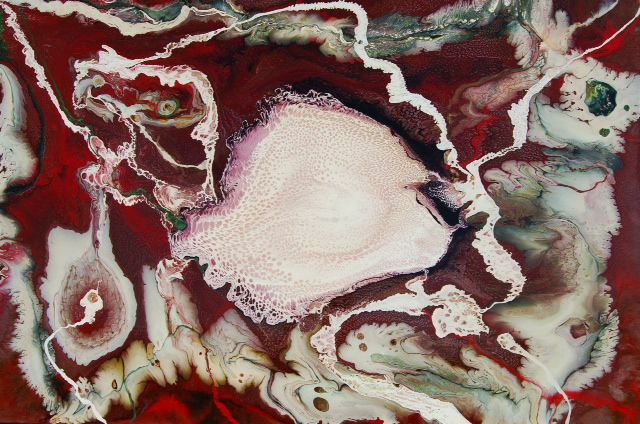 In an abstract form, she likes to engage others in their own perceptions of what they see. She believes that everyone assimilates their environment and life's experiences individually and depicts her work on canvas with varying overlays of transparent and opaque paints. Even though the subject and meaning of each work is apparent to her, it is still through the eyes of the observer and their interpretation that their communication is validated. 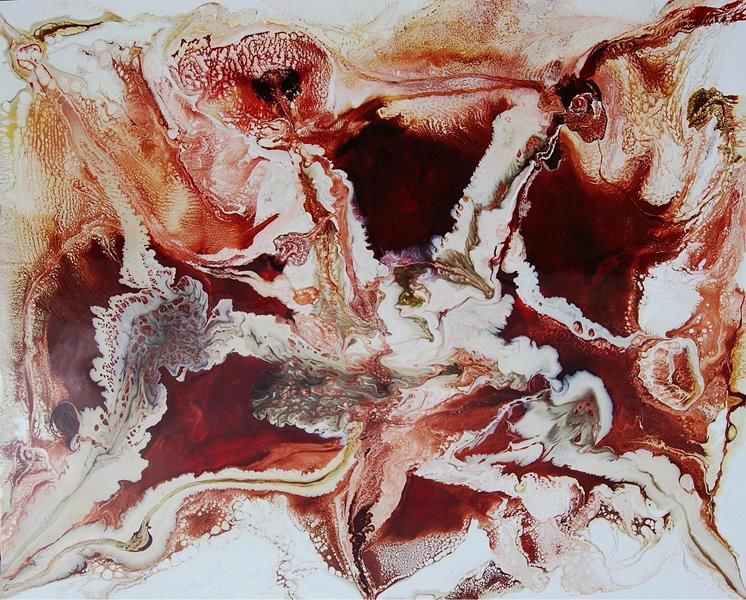 Miertje's art has a twofold impact on viewers of her work. First, because of the large scale and use of vibrant colours, the room is filled with energy and movement. 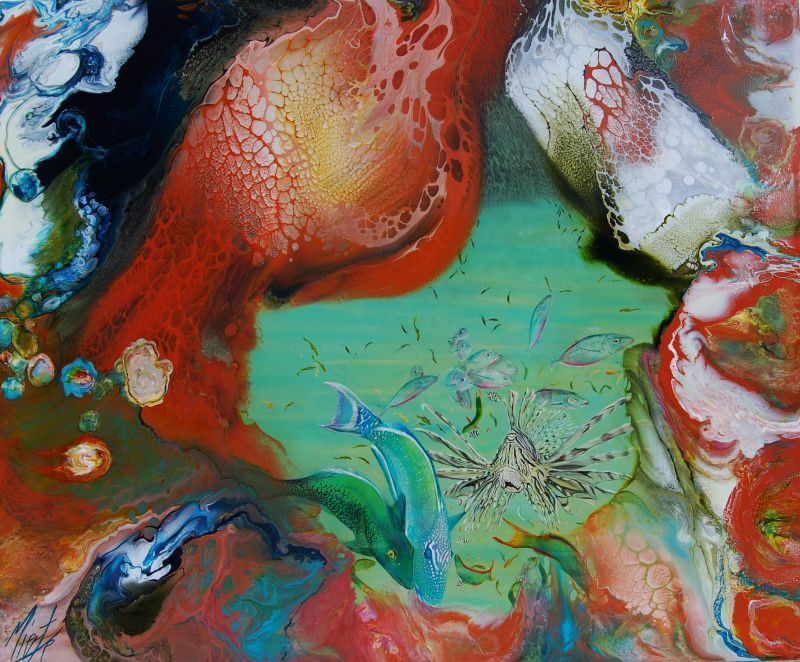 Secondly, upon closer inspection, her work delights and amazes with the minuscule detailing of abstract aerated bubbles, followed by almost volcanic eruptions of intense colours that immerse and transfix. With their grand scale, bold use of colour, and high gloss finish, Miertje Skidmore's abstracted landscapes, depict the power of the elements and their capacity for destruction and regeneration. 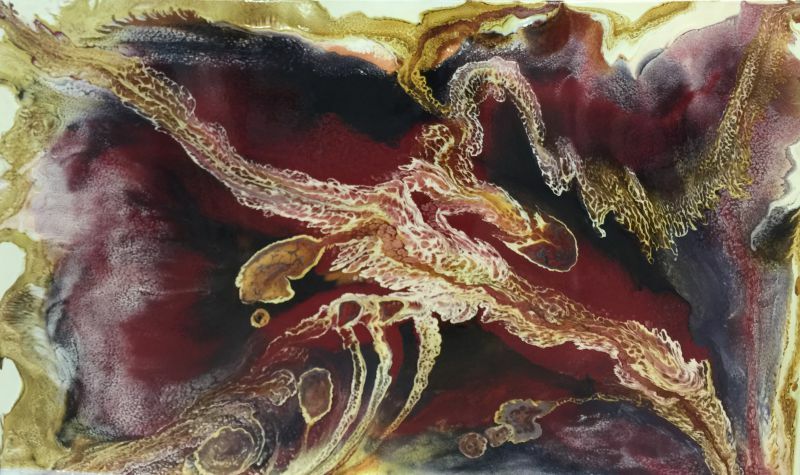 Since her first-ever solo exhibition at Art Images Gallery Adelaide, Miertje Skidmore has exhibited throughout Australia and is now represented by commercial galleries in Sydney, Melbourne and Queensland. She has fast become one of Australia's most sought-after artists. Art often is seen and felt as an enlightening and emotive personal experience.The visual language of spontaneous shards of dynamic colours against the softest subtle hues, is how I express my artistic voice. In an abstract form, I like to engage others with their own perceptions of what they see. We all assimilate our environment and life’s experiences very individually. I personally express myself on canvas with varying overlays of transparent and opaque paints, and even though the subject and meaning of each work is apparent to me it is still through the eyes of the observer that the final conclusions are made.